Decorate a cake for any motorcycle lover. Bake a birthday cake for any motorcycle lover, whether he's 4 or 84, and it's bound to be a hit. This cake does not require construction skills, but it still makes a fitting showpiece for a motorcycle-themed birthday party. Start with a coloring book page and wax paper to have everyone thinking that you are a professional cake decorator. Using the spatula, spread one can of white cake icing over the top and sides of a baked and cooled 9-by-14 sheet cake. 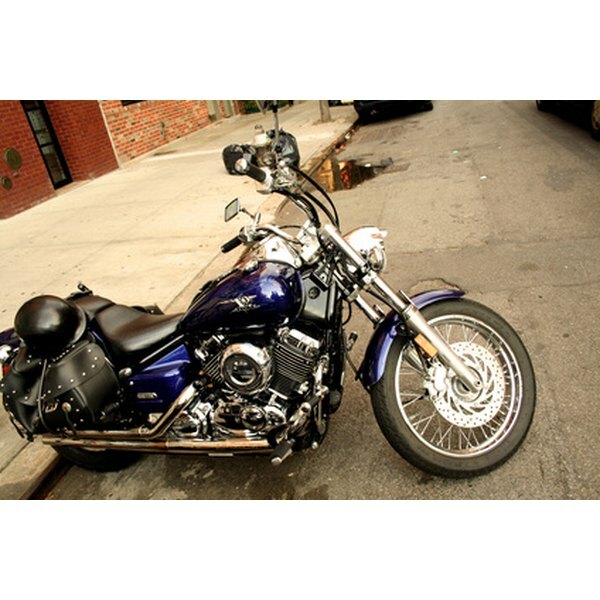 Lay the motorcycle image on a flat working surface, and set the sheet of wax paper on top of the image. Trace the outline of the motorcycle on the wax paper with a permanent marker. Lay the wax paper on top of the iced cake, and trace the outline of the image with a toothpick to create a light impression of the motorcycle image in the cake icing. Remove the wax paper, and trace the outline of the motorcycle on the frosted cake with a tube of black decorator icing. Use the black decorator icing to write “Happy Birthday” on an open area of the cake. Evenly divide the remaining can of white cake frosting in two or three bowls. Add food coloring to each of the bowls, and stir into the frosting until you have the two or three colors. Use an artist's brush for each color to spread the colored icing in the outlined motorcycle as you would paint a picture. Dilute the icing in the bowls with 1 to 2 tbsps. milk if the icing is too thick to spread. Insert candles, and set an optional motorcycle toy on top of the cake before serving. 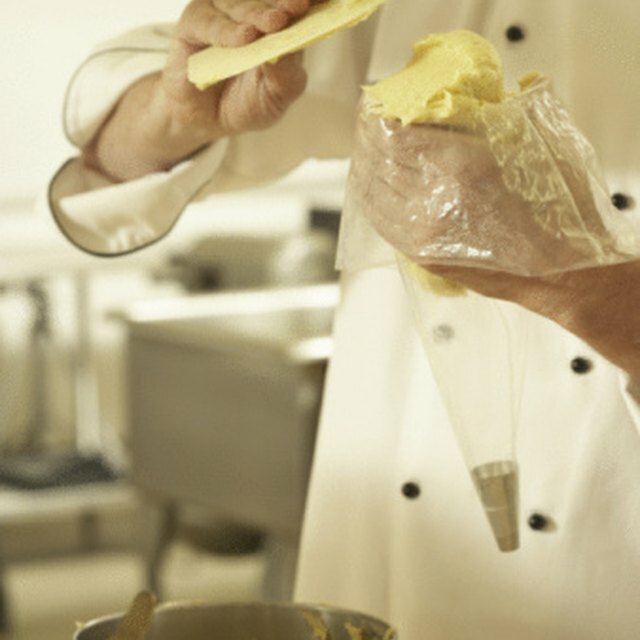 Look at cake supply stores for an offset spatula, which has an angled head designed for applying frosting to a cake. Use a regular spatula or even a butter spreader to frost the cake if you don't have an offset spatula.